Thadd+Friends: Otto Armleder Memorial Aquatic Fountain. 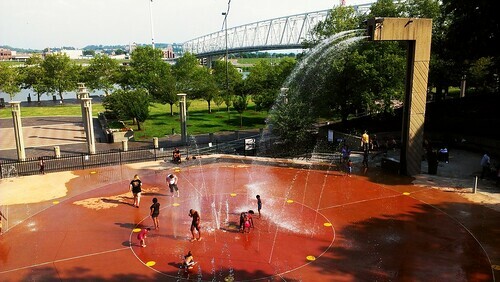 Otto Armleder Memorial Aquatic Fountain. It was really warm again. It would have a been a perfect evening to play in a fountain.